EPG explores a new movement in Education which combines academic education with practical learning, and traditional teaching with new technologies at the first ever Education Innovation Conference in India, in July 2017. If the robots are coming to change the nature of the world of work, how can the education sector respond? How can the sector today help create a workforce that can do tomorrow’s job? To what extend can education technology help? Are public sector universities adequately equipped to be as agile as they now need to be? Where the opportunities for foreign collaboration? Previous editions of EIC have facilitated innovative global partnerships between educators, technologists and business leaders to help drive global education forward. Past delegates have comprised of Eminent Educators, Policymakers, EdTech startups and Investors from across Europe, the US, Africa and India. Education Innovation could mean something different for an educator, a technologist, a corporate and for students. In this constantly evolving sector, we must find ways to accommodate changes in institutional demands, demographics, technology, student needs, pedagogical trends, political pressures, employability and other challenges. The global education technology landscape – and can it overcome educational inequality? Read Pratik Dattani’s blog The Robots are Coming – India’s Education Challenge, which encapsulates the conversations at the conference. Join the conversation at #eic2017pune @epg_london. Our terms are here. Founder & Director, Sylvant Advisors Pvt. Ltd.
Director - Teacher Training and Education, TAITO Education Sharjah, UAE. CEO & Co-Founder, Change My Path, Inc. This event has now ended. For any information, look on the bottom right of your screen now to chat live to one of our team. Managing Director for boutique economic consulting firm EPG, specialising in economic analysis, strategic communications and market entry assistance with India, with offices in London, Bangalore and East Africa. He was additionally, until August 2017, UK Director for the Federation of Indian Chambers of Commerce and Industry (FICCI), the premier and largest industry body in India. He is also the co-founder of a tech start-up in the CSR space. Previously he worked in Economic Consulting at FTI Consulting and Deloitte in London and Abu Dhabi, with a focus on public policy and arbitration. He was Chairman for a not-for-profit membership organisation with several thousand members for three years. He studied Economics at Warwick University, where he was awarded the Prize for Excellence, and LMU University of Munich. His dissertation won a prize at an international economics conference at Georgetown University, Washington DC. He has published academic research on behavioural economics and social impact and is a regular commentator on public policy and India across print, TV and online media, featured on BBC News, CBC, CNBC, CNN, NDTV, South China Morning Post and Huffington Post. This House Believes current education technology developments in India will drive to overcome the most critical educational challenges in the country. 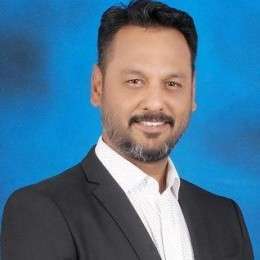 Manish is responsible for providing a strategic vision to NSDC in ensuring that the team moves cohesively in one direction towards achievement of the Prime Minister’s Skill India Mission. Manish also represents NSDC at domestic and international fora. He is also the official spokesperson for NSDC. Professor Mammo Muchie holds a DPhil in Science, Technology, and Innovation for Development (STI&D) from the University of Sussex. UK. He is currently a DST/NRF rated Research Professor at the Faculty of Management Sciences, Tshwane University of Technology, South Africa. He is a fellow of the South African Academy of Sciences and the African Academy of Sciences. He is also currently adjunct Professor at the Adama Science, Technology University, Arsi University, Addis Ababa University and University of Gondar, Ethiopia. He has been senior research associate at the SPMTDC programme and also has become Senior Research Associate at the TMD Centre of Oxford University. He is collaborating with researchers (DILIC) on the potential research areas of Africa-China industrial high-technology sectors. 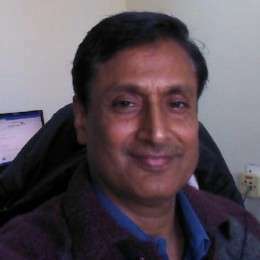 He has been invited as Associate Faculty professor at Sussex University, UK for the next three years; at the University of Economics in Prague as visiting professor, Jawarahal Nehru University India, Tonji and Shanghai University, China; Honorary Professor Jiaxing University, China, Assistant Professor Amsterdam University, Visiting Professor Carleton College, USA; Principal Lecturer, Middlesex University, Professor, Aalborg University; Part–time Lecturer, Cambridge University; Honorary Professor UNISA. 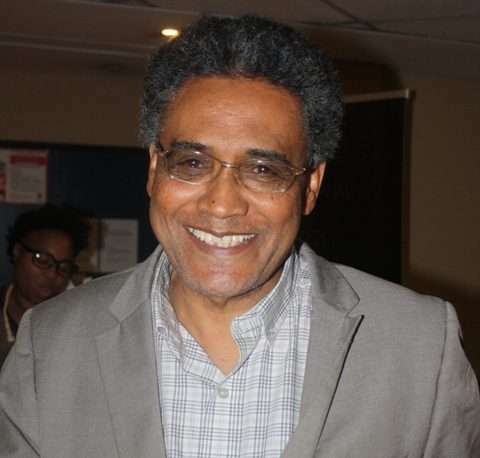 Professor Mammo held various positions globally, including the Director of the Research Programme on Civil Society and African Integration at the then University of Kwa Zulu-Natal; board member at the North Western University, Chengdu, China. He is currently the chairman of the advisory board of African Talent hub of the Community Interest Company (registration no.10461990) to raise funds for making Africa the talent, innovation, entrepreneurship, creativity and knowledge hub of the world. He has been appointed as special distinguished advisor to the Africa Union’s Student Council and a mentor for the African Entrepreneurship award. He has initiated the African Unity for Renaissance and Knowledge Exchange series of conferences since the last six years. He is a founding scientific advisor to ´the African Solar network, founding chairman of the Network of Ethiopian scholars. He has lead the SIDA, Sweden funded research on engineering design and on transformative innovation for African integrated development and educate on public media to speed up the creation of innovative and renascent Africa. He is also a co-founding member of the Nano Technology Institute in TUT leading the innovation side of the research. 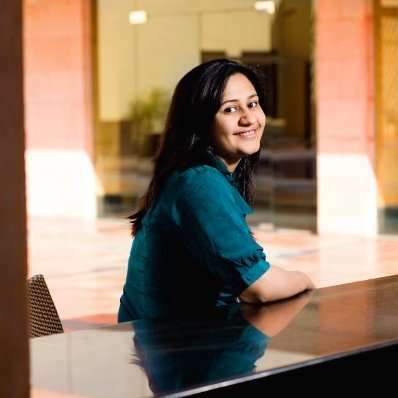 Prachi Jain Windlass heads the foundation’s India education portfolio which focuses on large scale school system transformations, assessments and high quality education service providers. Prachi is on the board of several for-profit education companies and advisory committees to state governments and education departments. She is passionate about the area of data driven education and has spearheaded the foundation’s work in multiple ways, including: incubating service providers, creating role model states for classroom based assessments and embedding student learning based accountability in all portfolio companies. Nathan Andrews believes in Working to deliver on the brand promise to all stakeholders while ensuring customer delight as well as the financial success of every business within the city. To make Lavasa India’s first hill city the preferred destination for residents, students and tourists. A city of learning, art and culture with a quality of life unparalleled in the country. Kishore Balaji has been working across multiple verticals, in many roles helping organisations build their strategies & businesses. The spaces he has been engaged in so far ranged between Education, Training, Employability, Rural Dev, ICT for SMBs/ SMEs, Entrepreneurship & Innovation, Nation Building projects among others, acorss South Asia and APAC. Dr. Chandra Bhushan Sharma, the present Chairman of the National Institute of Open Schooling (NIOS), is Professor of Education at the School of Education, Indira Gandhi National Open University, New Delhi. He has taught for three decades and sat on many national committees and commissions constituted to advise governments and institutions. His expertise is in policy making from school to higher education especially distance mode education. He was one of the three member committee constituted by the Government of India to draft the Distance Education Council of India Bill. He has also been on the committee to suggest revamping of teacher education in India. 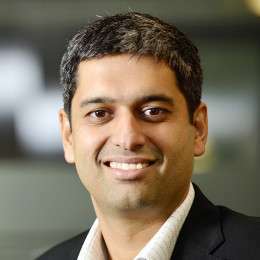 Pranjal lead venture capital investments, champion portfolio management in investee companies, and drive strategic projects for Bertelsmann Group companies in India. He has been part of A.T. Kearney India unit leadership, driving business development & project delivery in Communication, Media & Technology practice. Pranjal has expertise in shaping growth strategy and its operationalization, and in driving large-scale operational excellence programs for CXOs primarily in telecoms, retail, consumer goods and auto sector. Dr. Ganesh has set up 5F World (www.5FWorld.com) as a meta start-up which scans the start-up eco-system and makes investments in select start-ups that transform employee and customer journeys. 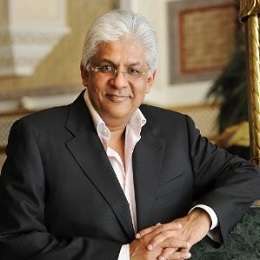 He is Executive Chairman of 5F World and also Chairman of two incubated firms, Global Talent Track and Skills Alpha. 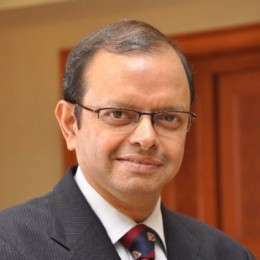 Dr. Ganesh is a Senior Advisor for Digital Transformation with McKinsey & Co and the Pune Smart City Initiative and is currently leading the development of a Start-Up Hub in the city of Pune which will provide research to city investors and established firms and also support the mentoring and corporate linkages of start-ups anywhere which need to establish linkages with industry leaders in the Manufacturing, Financial Services, Information Technology and Business Process Management sectors of India. He is also advising start-ups in the USA Singapore and India which are focused on Digital Financial Services and Retail Commerce. Marius Westhoff has more than 6 years experience across Corporate, Venture Capital & StartUp in Education & Digital Media across Europe, US and India. In charge of P&L for Verticals / Member of Founding Team to grow the venture and build careers of tomorrow. Anand Sudarshan is the Founder & Director of Sylvant Advisors Private Limited. 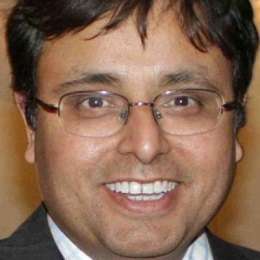 Anand is also an independent director at NIIT. Till June 2012, he was Vice-Chairman & Managing Director of MaGE, where he has had a distinguished career since May 2006. 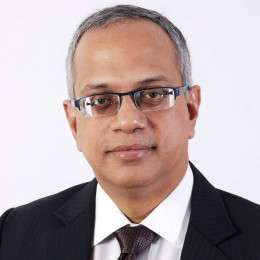 He currently advises companies & entities in the education sector, and is also a fund advisor with TVS Capital Funds. He is active in supporting Government of India in policy formulation, and is a member of select Committees & Task Forces of the Planning Commission of India as well as the Ministry of Human Resource Development. Poonam Heryani is the Director – Teacher Training and Education, TAITO Education Sharjah, UAE. She is a much sought after speaker and trainer, she has led and conducted numerous workshops for school educators in India and the Middle East. Having completed her MSED Research in Teacher Leadership from Richard Riley College of Education, Walden University, USA, currently Poonam’s area of interest is “How leadership practices in a school can impact the learning and achievement of students”. Poonam provides Instructional leadership and teacher training, supports curriculum design that addresses what students must know factually, understand conceptually and be able to do in skills and processes, she addresses critical issues of improving instruction that develops conceptual thinking along with critical, creative and reflective thinking. Having spent twenty eight years as an educator, Principal and school administrator, Poonam Heryani has become widely recognised as an ambassador for progressive education with a focus on designing and delivering curriculum, practices pertaining to curriculum reform, instructional strategies that encourage critical thinking and strategic planning. Supriyo Chaudhuri has extensive experience of Global Education, managing projects, leading businesses and developing and supporting partner networks. With an in-depth understanding of the Higher and Professional Education sectors, deep knowledge of Education Technology and global experience in Education Marketing, he has worked with some of the world’s foremost Education and Skills Training companies with distinction and success. He was until recently, the Director for Asia Engagement for Knod Education, a US venture-funded innovative skills company. He is now Senior Manager in Education for EPG. 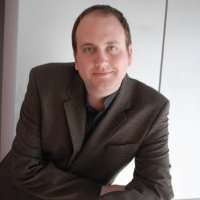 Zack Karlsson is a former VP of Business Development at Capcom, a gaming company with $1.2 billion market cap, and has held executive management positions at DoubleFine, a leading independent games studio and Namco Bandai, a video game publisher.